This is a sponsored post that contains affiliate links. All opinions are my own. I have an obsession with getting my teeth as white as they can get. If it is marketed to whiten teeth, I am pretty sure that I have tried it! From over the counter whitening strips to professional grade whitening toothpaste, nothing works better than professional teeth whitening kits. I am in love with the concept and the results of at home teeth whitening by Smile Brilliant! Keep reading to enter the giveaway, so you can have new pearly whites, too! 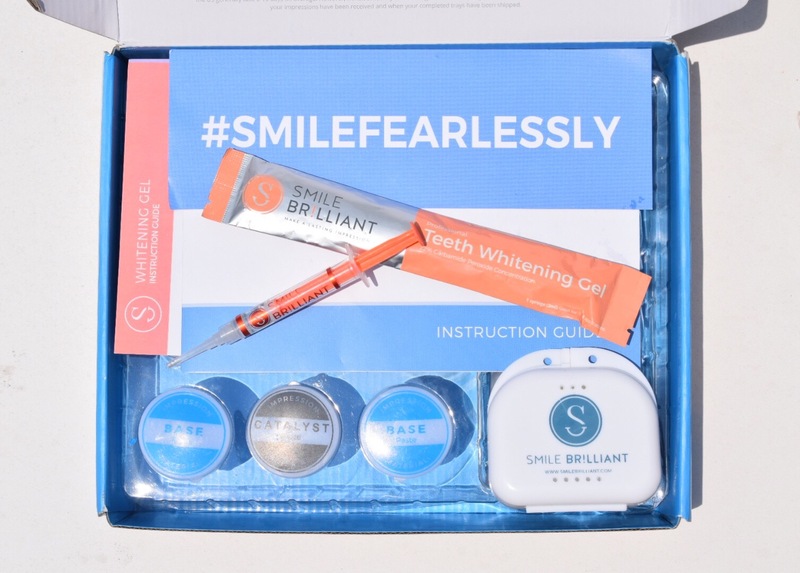 When I was introduced to Smile Brilliant, I had no idea that there was a company that you could have teeth molds delivered to your door to create your own personal whitening trays from the comfort of your own home! I have done this before in my early twenties, but had to go to the dentist, lay in the chair and the dentist made the mold. Not to mention, it cost a fortune back then. It has been 20 years (eep! ), and my teeth have been exposed to more than their fair share of coffee and wine since then! I have used several agents to whiten my teeth, but nothing that I have used since then have produced the results like this home teeth whitening kit has. 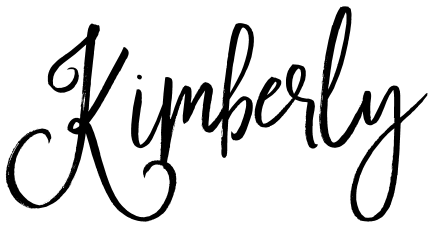 I received my Smile Brilliant kit via mail, and I was so excited to get started. When I went to create my molds, I will admit that I was a little apprehensive, because I didn’t want to mess up. They give you explicit directions and extra impression material, just in case you need a redo like I did! Since I had done this in an office setting before, I thought I could just wing it. I admit that I didn’t follow the directions exactly my first go around (I’ve always been a fly by the seat of my pants kind of girl! ), but that made the second attempt a breeze! All you have to do is take the Base and Catalyst Paste and mix together until it turns all blue. Then add it to the mold, put it in your mouth and bite down for the allotted time. After creating your molds, all you have to do is package them up in the prepaid envelope and send them back to Smile Brilliant. Within a week, you will receive your custom fitted molds and whitening syringes to begin your at home teeth whitening! My top and bottom molds came out flawless, and the lab created my custom fitted trays that fit perfectly. It was so easy and I loved pretending to be a dentist! It is SO seamless and super convenient! If you have sensitive teeth, like I thought I did, don’t worry! They have gel desensitizer that will take away the sting. If you are worried about teeth sensitivity you can find out more here about the causes and solutions. I have been wanting a new teeth whitening kit that really worked and Smile Brilliant is amazing. If you are looking to brighten up your teeth, this affordable home teeth whitening truly works. I have already ordered my second set of gel whitening syringes out of my own pocket, because it works so well. These pictures are a before and after and have NOT been photoshopped or edited. I promise these are my teeth prior to using Smile Brilliant, and then after, and the real results. Amazing, right?!?! So, do you want to win $139 credit to get your own Smile Brilliant At Home Teeth Whitening System for some new pearly whites? If so, enter here to win! ENTER BY CLICKING HERE NOW! Good luck! (*Contest open to USA, UK, Canada and Australia residents). 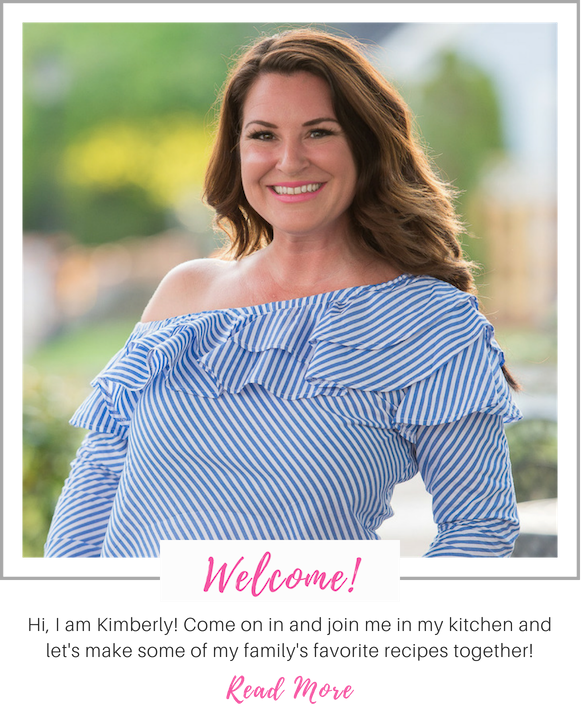 If you are an avid reader of Crockpot Empire, than you know I only post and recommend products that I truly believe in and that I would purchase myself. However, if you are on the fence and would like to see other customers that have shared their testimonials you can click here. And if you’re ready to order, but need some more information on the benefits of custom-fitted trays you can get that here. If you order home teeth whitening by Smile Brilliant, tag us in your before and after photos! We would love to see how brilliant your new smile is! © 2018 - Crockpot Empire. All Rights Reserved.